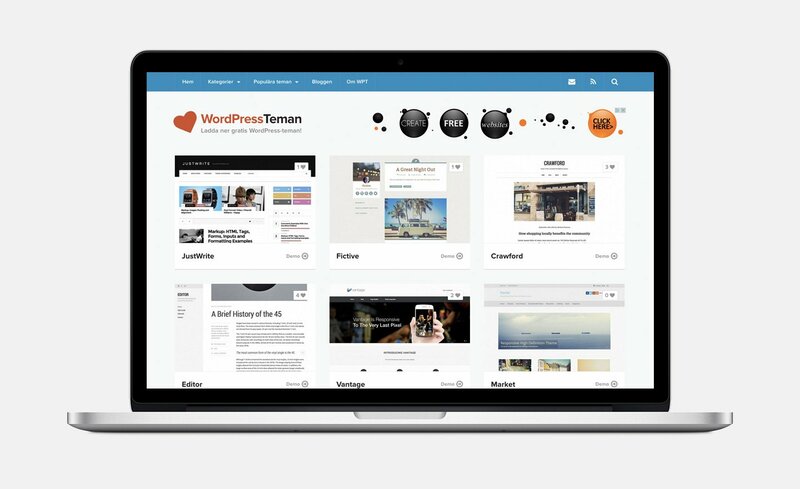 Earlier today, I launched version 2.0 of WordPressTeman.com – a curated archive of free WordPress themes. In 2010, I launched two Swedish WordPress centric websites: WordPressguider.se and WordPressTeman.com. The former provides step-by-step tutorials for WordPress, and quickly got a pretty respectable following. The latter features a curated archive of free WordPress themes but, unfortunately, never took off. I abandoned it after a couple of months. It’s been collecting dust since then. I’ve been doing some house cleaning this year, and the time had finally come to WordPressTeman.com. I knew that I either had to close it down altogether or rebuild it from scratch, as there was little to salvage from the old site. I opted for the latter. Earlier today, I launched version 2.0 of WordPressTeman.com. The new site features a completely revamped design, lots of new functionality and all new content. The biggest addition is a much closer integration with the WordPress.org Theme Directory API, which means that each theme page now features meta information, statistics and ratings for each theme. Whether it’ll actually get any traffic remains to be seen, but at least I don’t have to be embarrassed for it anymore.